The Academy’s decision to scrap the broadcast of four categories is just the latest shift in a tumultuous journey for this year’s Oscars. 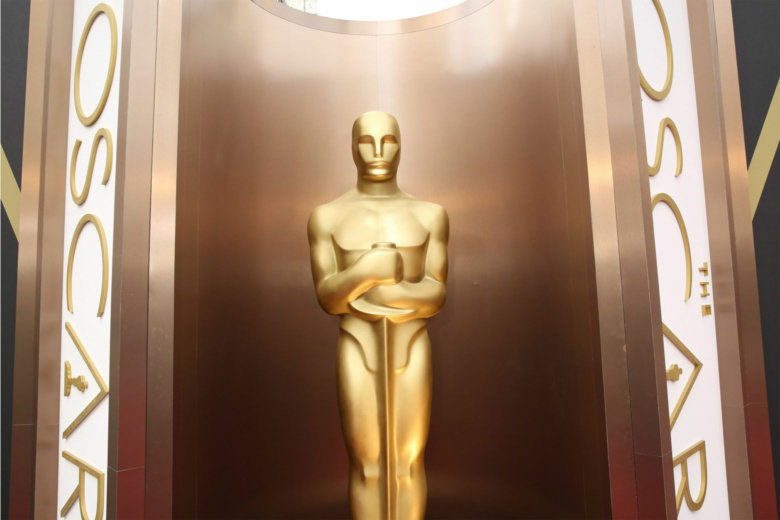 WASHINGTON — What is the main purpose of the Academy Awards? To honor filmmakers for their nuanced crafts? Or to present a broad telecast for mainstream moviegoers to watch? That debate reignited this week when ABC announced that it will not televise four Oscar categories on Feb. 24: Best Cinematography, Best Editing, Best Hair & Makeup and Best Live-Action Short. Instead, these categories will be presented off-air during commercial breaks, as the Academy will rotate which “technical” categories it chooses to televise on an annual basis. While it’s an admirable goal to trim the telecast to three hours, I agree with Cuarón and del Toro that we’re throwing the baby out with the bath water. Film is the ultimate collaborative medium, making the Oscars a time to honor the hardworking crew members and unsung heroes who never get to enjoy the glitz and glamour of their higher-paid celebrity colleagues. Moreover, the bizarre rotation opens up a Pandora’s box of new questions. What makes Best Cinematography less important than Best Production Design? Why is Best Hair & Makeup less worthy than Best Costume Design? Is Best Film Editing less vital than Best Sound Editing? And is Best Live-Action Short less impressive than Best Animated Short? What if your life’s work just happens to be nominated in an off-year when your category isn’t televised? Tough luck. Instead, the Academy should focus on cutting the filler fluff in between the actual awards. Let’s reduce the number of clip montages, remove the cast introductions of Best Picture trailers, put a clock on acceptance speeches and dump the comedy sketches, where the host runs across the street to hand out prizes to folks in a nearby movie theater. Stick to the awards. ABC could also limit the live music performances to, say, Lady Gaga’s “Shallow” and Kendrick Lamar’s “All the Stars,” rather than staging all five nominees for Best Original Song. Many years, it’s frankly a stretch to find five memorable songs in the first place. Or, if you must have all five, sing them together as a medley. This isn’t the Grammys. It’s the Oscars. Be selective. Meanwhile, the Kevin Hart controversy left the show without a host, which could actually be a blessing in disguise. Let’s face it, unless it’s Billy Crystal, the host doesn’t add all that much to the show. If all goes smoothly this year, the Academy should consider going without a host in future years, or at the very least limit the host to an opening monologue with no further gags. Next year, you’ll notice another change as the ceremony date moves even earlier to Feb. 9. This will prevent award season from dragging too far into the next calendar year with false momentum, overwrought think pieces and front-runner backlash for otherwise fine films. All of these shake-ups come after the Academy floated (then abandoned) a half-baked idea to create a new category for Most Popular Movie in response to last year’s ratings low of 26.5 million viewers. Viewership was down 19 percent from the previous year and marked the first time that the perennial ratings juggernaut saw fewer than 30 million viewers since 2008. Even so, the Academy shouldn’t panic. The Oscars still crush the Emmys, Grammys, Tonys, Golden Globes and other award shows in ratings and routinely ranks as the most-watched non-sports program of the year, behind the Super Bowl and NFL playoffs. Even the Oscars’ worst year dwarfs viewership of the most watched episodes of “The Sopranos” (22.6 million), “Game of Thrones” (16.1 million), “Breaking Bad” (10.3 million) and “Mad Men” (4.6 million). If anything, the ratings decline has less to do with the Oscar telecast itself and more to do with larger cultural trends: (A) an increase in cord cutting and other streaming methods; (B) a decade of hyper partisanship with politicized boycotts; and (C) an industry shift toward the franchise model creating a divide between blockbuster reboots and award-worthy originality. From the 1930s through 1970s, a Top 10 grosser won Best Picture 88 percent of the time. That trend changed when it dropped to 60 percent in the 1980s, 50 percent in the 1990s, 30 percent in the 2000s, and now 0 percent in the 2010s. That’s right, zero of our Top 10 grossers now win Best Picture. What changed? Sequels. Can you really blame Oscar voters for wanting to reward fresh ideas rather than franchises that ride the coattails of other past filmmakers? This year could finally buck that trend if box-office champ “Black Panther” wins Best Picture, a plausible possibility after winning the top prize at the SAG Awards. A yearly top grosser hasn’t won Best Picture since “The Lord of the Rings: The Return of the King” (2003) and before that “Titanic” (1997), which remains the most watched Oscar telecast ever with 57 million viewers. Will we see a “Black Panther” bump on Feb. 24? Wakanda isn’t the only dog in the fight for mainstream viewers, as crowd pleasers such as “Bohemian Rhapsody,” “A Star is Born” and “Green Book” have legitimate shots at major awards. If “Roma” wins, as it did at the DGA Awards, it will continue the mainstream drought, but at least folks can stream it on Netflix. Eleven days out, it’s too late to reinstate the nixed categories, but I hope ABC reconsiders going forward. Film crews work too hard to go unrecognized. After all, who is Leonardo DiCaprio without the cinematographer filming him, the editor splicing his scenes, the stylist parting his hair, or the hungry short filmmaker creating the next great role for him to play?